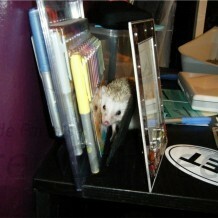 Hedgehogs are probably the biggest scaredy cats of all animals that breeders have worked with in critter careers. They are easily scared anytime they see, hear, smell, or sense something through their sense of motion detection. That naturally built-in sense of fear of the unknown is what has helped, this basically, defenseless critter survive in the wild. 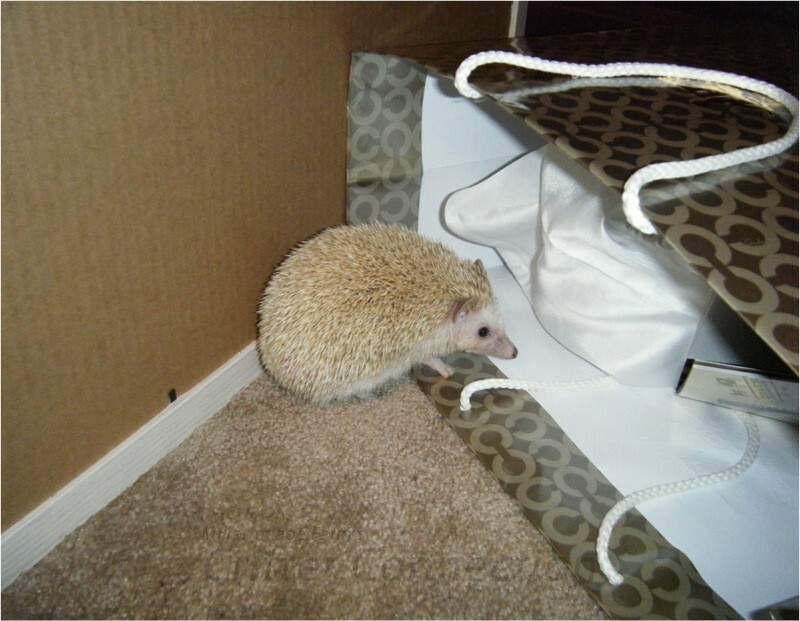 Once a hedgehog feels safe, it will start to uncurl and begin to investigate its surroundings. It will begin to put down its spines and relax when it realizes that there is no danger. A good comparison to a cautious hedgehog is a prairie dog, meerkat, or groundhog, popping its head out of its lookout hole scouting for danger. When the critter senses danger, it goes back into the hole. If no danger seems to be present it will cautiously come out of its hole and investigate further. The primary difference between a hedgehog and the animals mentioned previously is that a hedgehog has no hole to hide in for safety. Its thorny ball of prickles is its only defense to the dangers of the world. 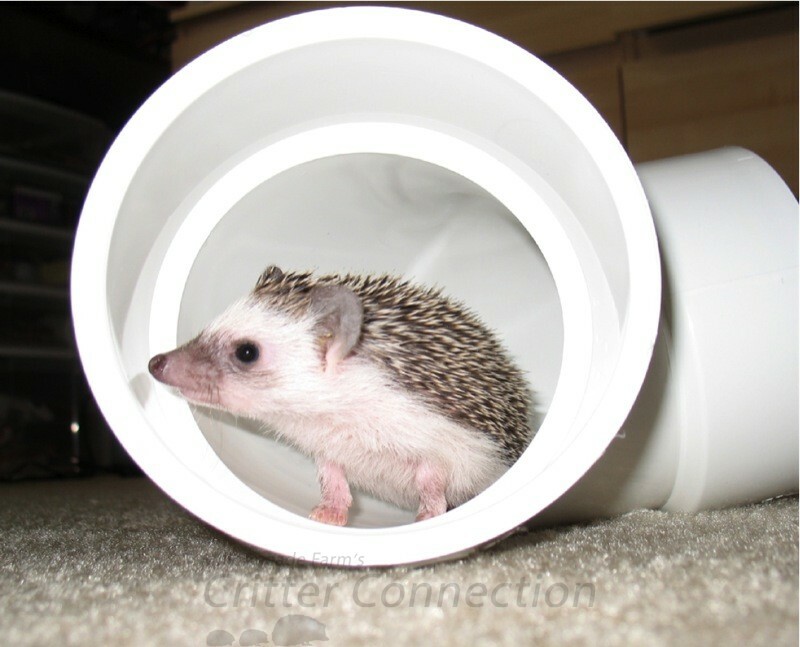 Some hedgehogs are brave explorers and will immediately uncurl and start walking on your hands. Others will start out by sniffing and duck their head at the slightest of noises.The average hedgehog will begin to put down its spines and relax when it realizes that there is no danger and will then start to explore. When your hedgehog uncurls, it will most likely begin to explore and start checking out its surroundings..
A hedgehog’s senses are quite different from those of other animals. For example, its eyesight is very poor, but its other senses are much stronger. 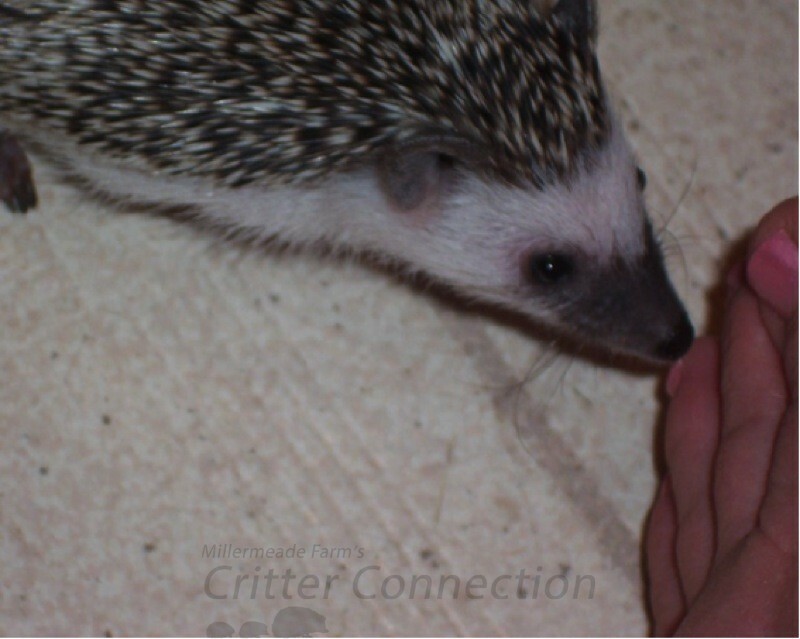 One can easily be charmed by a hedgehog’s little nose as it characteristically sniffs the air. 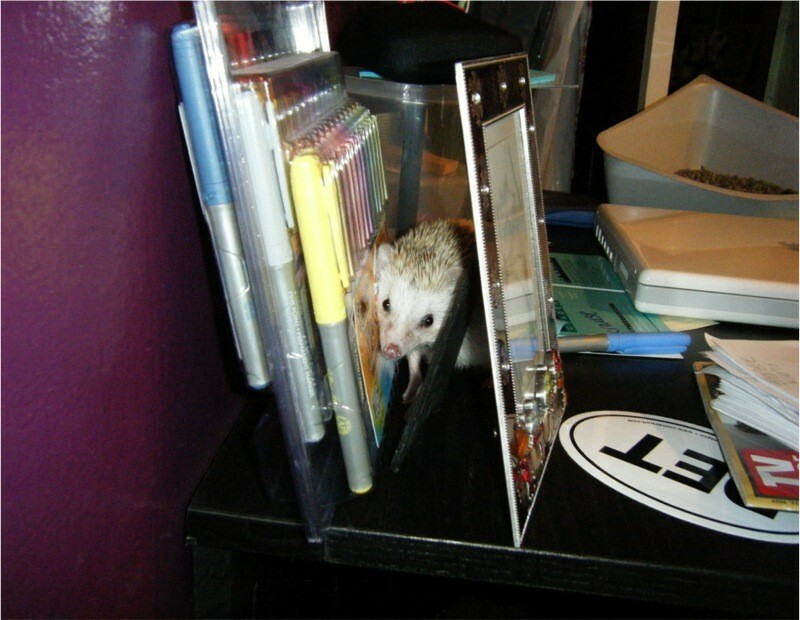 A hedgehog’s curiosity can take it many places, as these pictures can attest. 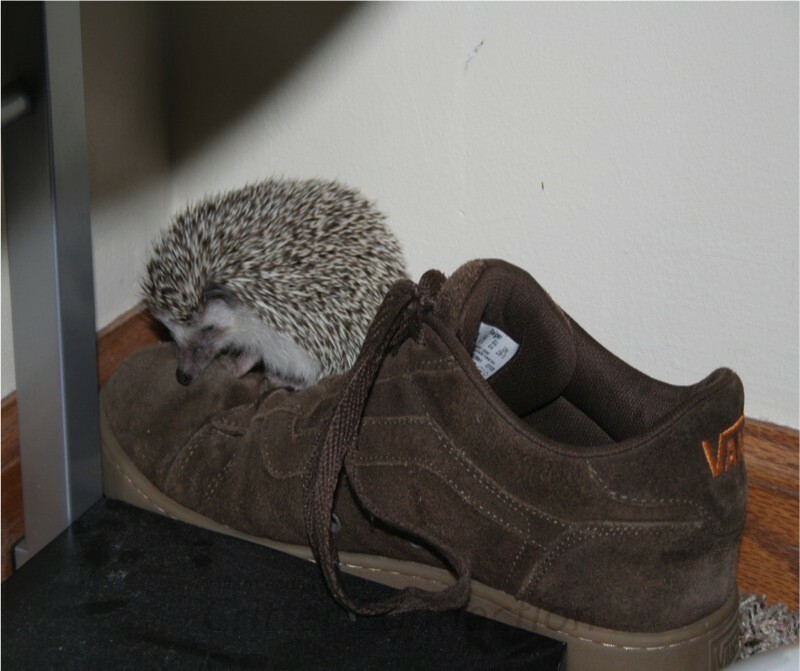 A hedgehog can find something to sniff just about anywhere, including toes! One must be cautious of prickly mountain climbers, as they have no problem trying to sneak up a pant leg, up a sleeve, or in a pocket. Going in is a lot less prickly than coming out. Breeders and owners have found that there are explorers who simply won’t stay put. They want nothing to do with being held, but are happy to use their human as a mountaintop challenge. Hedgehogs will not jump, but they will walk right off your hands. As your hedgehog walks off one hand, move the other hand in front of it so it has a new walking platform. Hedgehogs are not “fast” when compared to other animals; but when a hedgehog starts moving in your hands, it will certainly seem to be quite speedy. There are times when you will want to cuddle with your hedgehog and it will want to explore. Breeders strongly recommend that you allow your hedgehog to burn off some of its energy so that when it is good and ready, there is a good chance, it will come up to you and find a place to snuggle. Hedgehogs are naturally quiet and gentle, and we can guarantee they will not bark, squawk, scream, or howl at you or anything else. Some hedgehogs are more of the quiet type and prefer to snuggle rather than explore. They are quite content to snuggle in your arm or anywhere else and go to sleep. Some snugglers are so mellow that they’ll allow their human friends to roll them on their back and even welcome hedgie nose kisses. Hedgehogs each have their own unique personality, (just like people) and once you really get to know your hedgehog or hedgehogs you will find that no two are exactly alike. Some hedgehogs love constant attention, such as being carried around in various types of hedgehog bags, but others frankly prefer sleeping in their cages. There are hedgehogs that love to snuggle up with their owners for a snooze, but then again, there are other hedgehogs that prefer the solitary setting of their own cage. It is up to you to figure out how a hedgheog likes to be handled and interacted with. If you try to apply your agenda to your hedgehog you may be greatly disappointed. Also, it is very important to keep in mind when re-homing hedgehogs that a hedgehog that is sweet and cuddly with its first owner may act completely different in a new setting. They may even go through a mourning of the loss of their first owner. Many hedgehog fans would characterize their hedgehogs as “suprisingly intelligent”. However, when compared to ferrets, monkeys, dogs, cats and squirrels; hedgehogs don’t score quite so high on the critter IQ test. Hedgehogs can easily learn to recognize their owners and things that are “food” related, but as far as tricks are concerned, don’t be surprised if you don’t have much success. Breeders have had many opportunities to hear from our customers and other hedgehog enthusiasts that hedgehogs can pout. It is not uncommon for friendly hedgehogs to shun their owners after their owners returned from a vacation. One of our customers described how she would take her hedgehog for a ride everyday to pick her children up from school. When school let out and the hedgehog was no longer getting its daily rides, her hedgehog began turning its back to her while wheeling and refusing to look at her. She began taking her hedgehog for short rides again, and the pouting stopped. Hedgehogs that are well socialized as youngsters and introduced to family members or friends may enjoy being handled by many people. Other hedgehogs that are primarily bonded to one person may have an aversion to friends or others who want to enjoy hedgehog company. Hedgehogs that aren’t the social sort may simply not relax, or they might gift their unwelcome handlers with gifts of pee or poop and possibly even a bite. 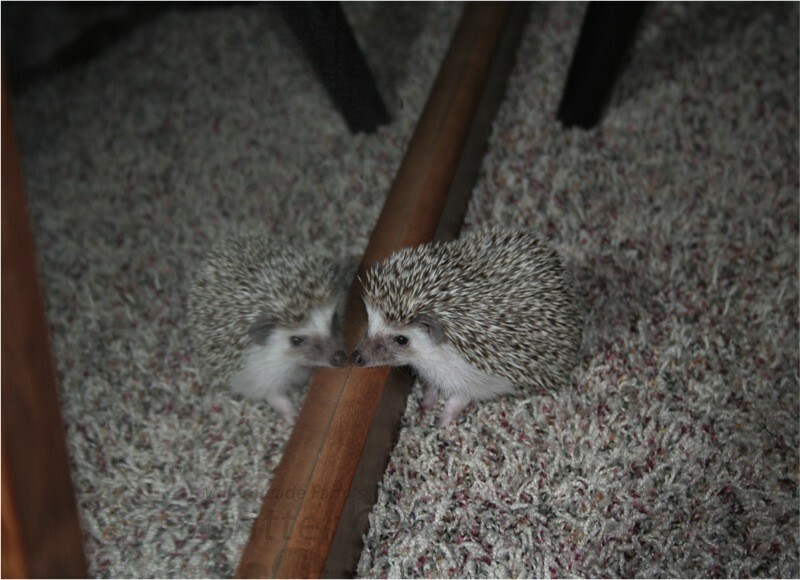 Are Hedgehogs Solitary or Social?